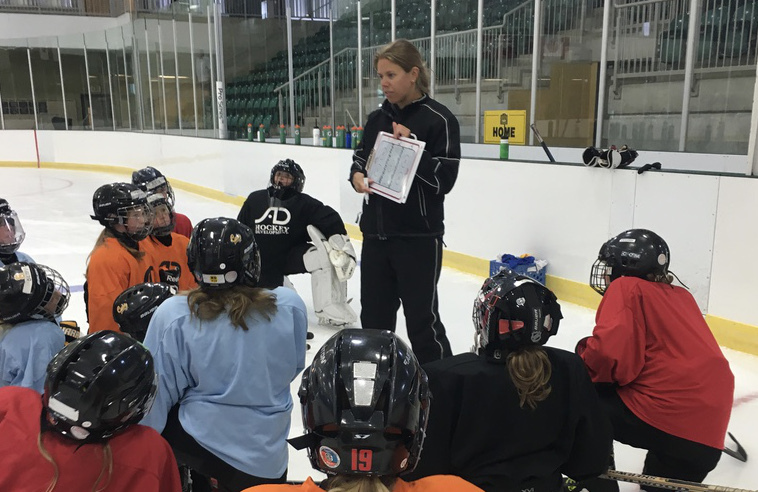 The on ice session will help to improve skating ability, power, balance, stick handling, shooting and passing as well as game play decisions. Groups will be diveded according to both age and skill level. Group 1 will include players who play at the Novice and Atom age groups while groupe 2 will be comprised mainly of players playing at the Peewee and Bantam age groups. If you daughter falls outside of this age range, exceptions can be made. CLICK HERE for more information. DHD is well aware that goaltenders are often forgotten during practice sessions. Thankfully, this is is not the case during any of our camps. Instead we have found a number of ways to enhance our goaltender development during the camp week. Specifically, during the morning ice session, all goaltenders will receive 40 minutes of goalie specific training. 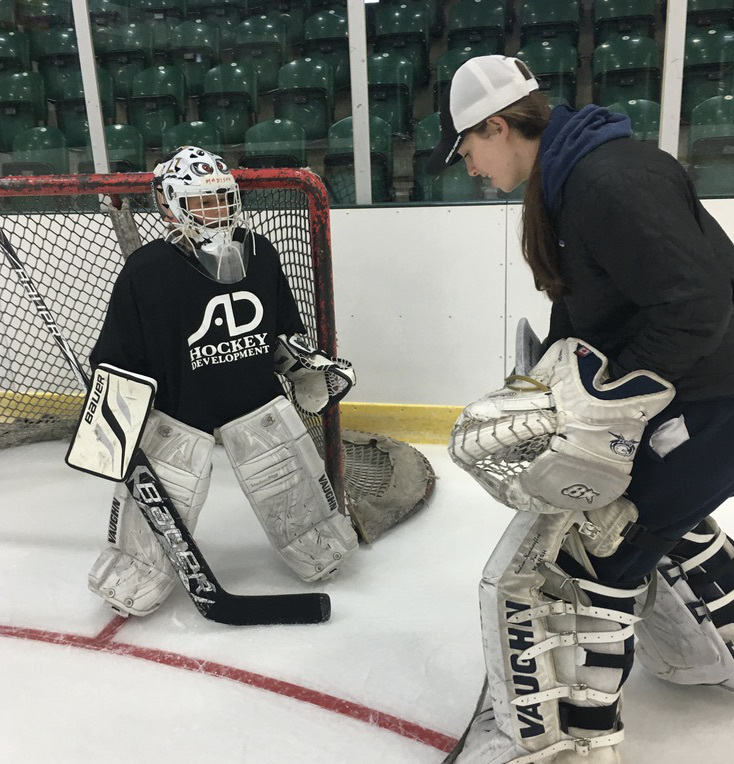 At this time, our qualified goalie instructors and shooters will help each goalie improve their skills, refine technique, and increase their speed and power of their movements. They will learn the importance of angles, challending the shooter, playing the puck, and communication. The camp day runs from 9:00am to 4:00pm or 9:30am-4:30pm daily from Wednesday August 9th 2017 to Saturday August 12th 2017. Emphasis on position specific drills for forwards, defense and goaltenders. Shooting, quick release, skating agility, stride power, balance, puck control drills. Small space games to highlight puck protection, puck control and confidence in game situations. 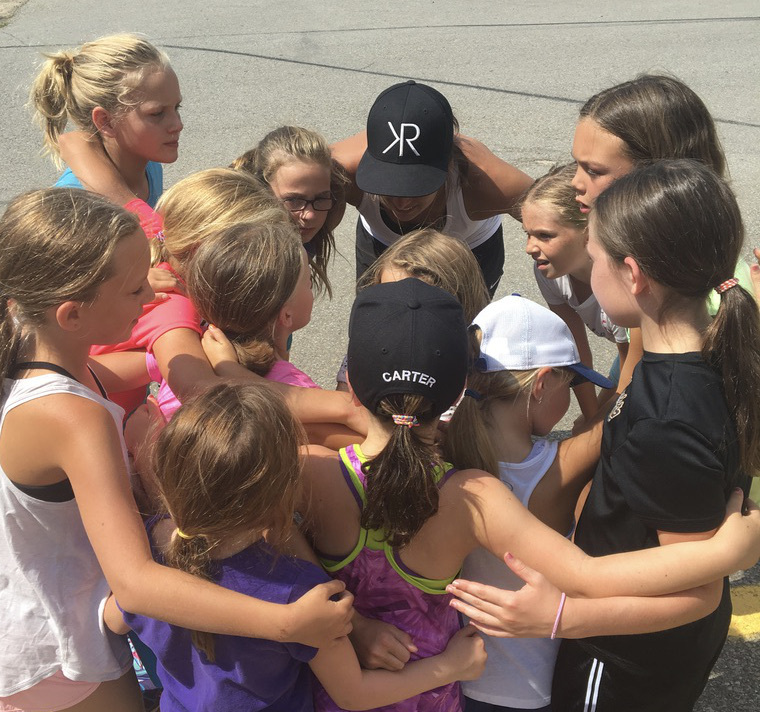 Development of the complete player including goal setting, off ice training, sport nutrition and much more. Age appropriate drills, games and conferences for younger players to keep them loving the game! !